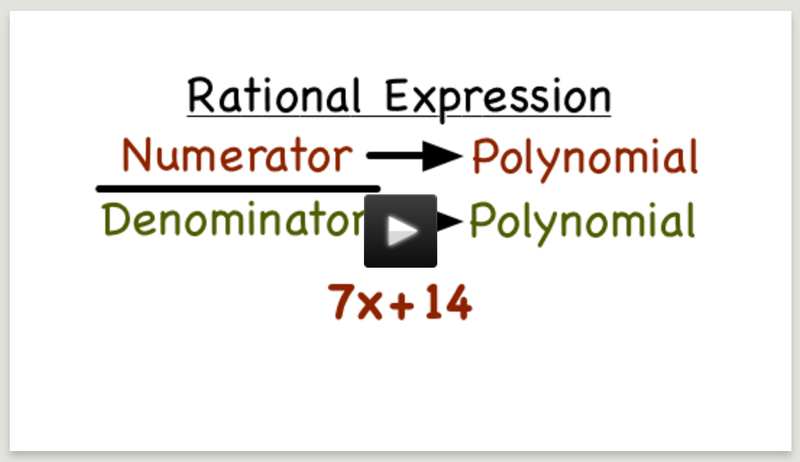 A.APR.7: Understand that rational expressions form a system analogous to the rational numbers, closed under addition, subtraction, multiplication, and division by a nonzero rational expression; add, subtract, multiply, and divide rational expressions. How can the properties of the real number system be useful when working with rational expressions? 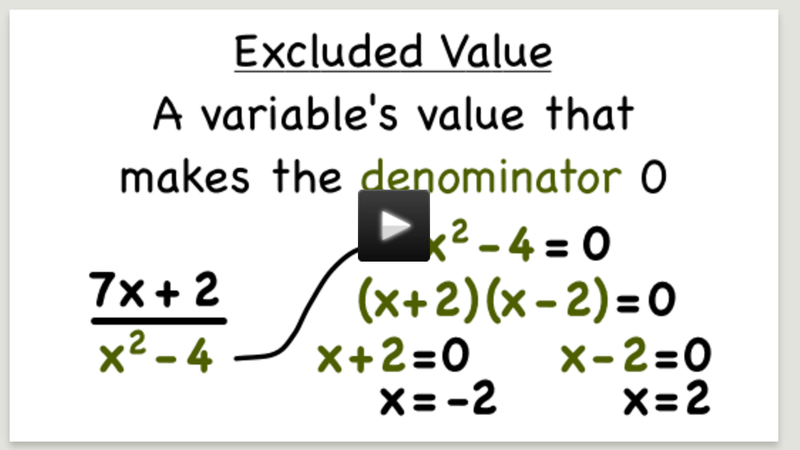 Click below for the Virtual Nerd Video - What's an Excluded Value.